I just want to ask allen if you are going to get an interview with dan rather and in detail spill the beans about dac report abuse. While trucking desiree’s tv article has sparked controversy, you had better hurry up and get dan rather to interview you about dac reports and common trucking company abuses. I cant wait to see you have a tv news piece about this. hurry before the trucking compaines try to shut you up! I am getting so much info from this website. I ordered my cd’s tonight and have been reading the info I downloaded. My questions are being answered before I have asked them. You all are helping me make sure I don’t jump in the lake before I learn how to swim. Just one question, what exactly does DAC stand for when talking about DAC reports? 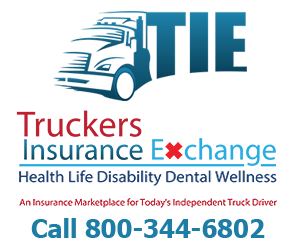 DAC stands for: Drive-A-Check … you can check out our web page on this info as well …. I have a relatively clean dmv. but i have 2 cases pending. being in wrong lane, and going by a dot scale w/o stopping, I thought it was closed. the scale violation i was told was nonmoving violation. anyway, both of these are pending, I have attorney working on them. my question with these and the one ticket i have on my dmv, which is over 3 years old, will i be effected by the new dot regulations? CSA2010? Would it be possible for you to provide guidance or point me in the right direction on the following? I am interested in learning about truckers’ eating habits in order to use such information for a possible business. Would like to learn how much money truckers spend eating in establishments while in the road and if that is something that they usually do. Many seasoned drivers carry cooler/frig’s in their trucks stocked with food, but naturally they still eat out at the restaurants, etc., on a regular basis. Spending would be difficult to assume, based on so many variable individuals. Anywhere from $50 to $150 per week, estimate. Thank you very much Allen, very usefull information. CSA 2010 was created to improve safety. There will be people who are unsafe drivers who will lose their jobs. Unfortunately there most likely will be safe experienced drivers losing their jobs also, using CSA 2010 as an excuse to make room for the new drivers that are going to be brought in. Hi Tim: Since the guy you drive for owns the truck, he is actually your employer. Not much you can do when dealing with an idiot like the guy with the authority. I know what I would do … I would discuss the situation with the guy you run the truck for and tell him that he needs to resolve the situation because nobody has the right to talk to you in that manner. Let him know that you want to keep driving for him, but under the circumstance, you will not work in a hostile environment. If he doesn’t do anything about it, then I would find another employer. Life is too short to waste it with an abusive fool. Swift listed on DAC and DriverFacts that I lied about having a felony on my application. I did not lie and Swift new about my history. I have tried calling and writing Swift about this situation. I am not sure if I will need a lawyer to get this fixed. I really do not have money for a lawyer, but at the same time I need to have my record cleared. Can you provide me with any information on how to try and resolve this? I am a relatively new driver in need of some advice. I worked for Tony and Justin down at SRT for a year and half after coming out of trucking school. I was never a problem to go home not an unsafe driver. (1 incident and 2 tickets on MVR and Dac in over 200,000 miles of work) My dad who is self employed came down with a rare lung disorder that hospitalized him. I asked for some time off to go home and help out the family business and tend to my father which they would not allow. So I put in 2 weeks notice. Well at the end of the 2 weeks they had me in California my dad lives in Delaware and the yard is in Texarkana, Arkansas. They wanted to dispatch me from California to South Carolina. I gave them ample time to get the load delivered on time but I cut down and took their truck back to the yard. Which was a fireable offense. Now I cannot seam to find a company that is willing to give me a job cause I got fired from my only trucking job. I cannot get anyone to see that I had no alternative. I need to get back out there. Does anyone know of any company that will hire me or have any advice on how I can back on the road? Thank you! Hi Jason: This scenario plays out all the time with these OTR companies. They have no concern in family matters, all that is important is the freight. 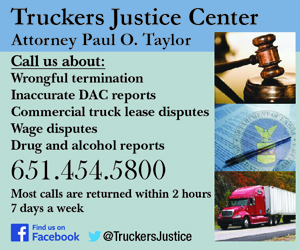 Quitting, even under this circumstance, due to the uncaring nature of these companies and the unfair practices of the DAC reporting services, will often end a driver’s career. 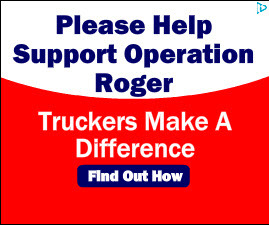 If anyone can help, I would recommend contacting James McCormack of Trucking Careers of America. He works with some of the better companies and he may be able to assist you under the circumstances. Not certain if he can, but he and his company will be your best bet. 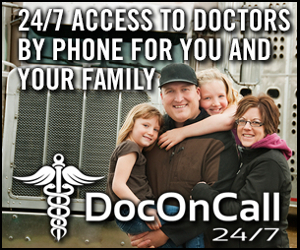 Just fill out their online contact form and they will be in touch with you asap. Allen liking GST but SRT is trying to do all they can to keep me from working. They destroyed my dac. Do not think GST will fire me for it cause there verification process is over and I am hired. Ran 3 loads and 2000+ legal miles w/in the first 5 days til the 2006 T600 they gave me went down due to bad fuel hope to be running soon. Mainly east of 35 but hoping when we switch to Super Service Oct 1 the west will open up. 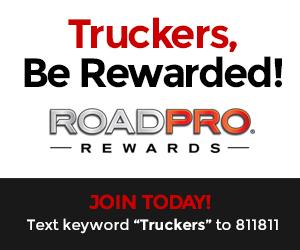 It would be a good idea for somebody to start a business that will get truckers to eat right. I am out of trucking because of what I ate on the road. I ended up with high blood pressure, and cholestrol, do to eating total garbage on the road. I also end up gaining weight. We need to get these truckstops to get more healthier, but this will probably hurt their bottom line. I don’t even know where to begin. DAC ABUSE??? I’ve read enough on-line to turn my stomach. Why isn’t knowledge of the existence of DAC told to new recruits? Whats more, how is it that companies can retaliate without the consent or knowledge of the employer? These two issues alone ought to be petitioned. My trucking career began in April 2004. Having served in the Armed Forces with two honorable discharges, I left active duty and opted for National Guard, a month after the twin towers were bombed (October 2001). I filed a divorce in 2003, unemployed, twins in pull-ups (and a teen son), with a vehicle that was broken down, and no child support. When the Unemployment Office offered free schooling, I took it! This company is so top heavy and compartmentalized that one hand doesn’t know the other. I don’t even want to start with the dangers I faced because I had to fix my logs in order to make a buck or how much time I spent during off-time (losing much needed sleep) to speak with one department, then transferred to another department, to another department in order to get layover, detention, dead-head and such. Often, I had to fight for time off to attend drill. Drill Weekends were considered ‘time off’ according to the dispatcher. In order to get to my drills station, I had to drive the previous day; then drive all night, just to get to drill on-time. That meant I was not ‘there’ while in uniform~a walking zombie. One driver (soldier) fell asleep at the wheel while employed with L & D in Owensboro, KY. Though I didn’t want to make this mistake, I was often pushed waaaay beyond personal and safe limits. At this time, when I was a ‘rookie’ who was forced to overextend myself and when truck parking was limited; I slept on off-ramps. I was too tired and too nervous to risk hitting another truck in a parking lot. I’ve seen some positive changes on the highway in this regard. But, there are still states that could allow truck drivers to park on off-ramps; but, don’t. 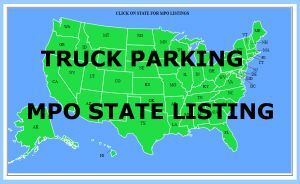 Could build more trucking spaces; but aren’t. I support the Jason Act. Recently, I was told that the Covenant Policy, ‘the garnishment of $25/week’ to cover insurance costs is unlawful? Is that true? Because in 2004 (eight months after quitting) I filed bankruptcy. I hadn’t heard from Covenant from the time I quit to filing the bankruptcy. In eight months all I got was a post card for re-hire, ‘we want you back.’ In 2008 a collection agency representing Covenant calls me, and continues to call me, at least once a day, for reimbursement. 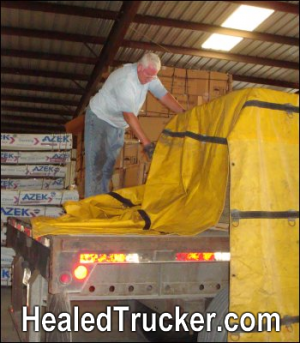 of an accident that occurred in Ponoma, CA at the truck terminal. While employed there they took $50/week because one incident in their terminal and another dispute which was not cleared up before I left. Had I known that Covenant wanted the money, I would have included that in my bankruptcy and have on numerous occasions, told the collection agency as much. I left Covenant because my ex abducted my twins early November 2003 while I was on National Guard status. Came back on a Sunday, after drill, and they were gone. That would be the last time I ever did Over-The-Road. On my DAC they do show two derogatory remarks. Gosh, we are talking about when I was a rookie and one of them I disputed while employed with Covenant. Didn’t make a difference, they still took $50 per week out of my check ($25/incident) and wrote two remarks. From there, I became a school bus driver locally. All was well with the exception of the pay and unemployed during summer months. Oh, and their insurance doesn’t cover the expenses incurred from all the doctor’s visits due to exposure to free floating germs by children and parents of varying cleansing habits. I stayed sick and so did my children. Then I worked for Allstate Freightways. This was a great company for me because it was dedicated. Out 4.5 hours and back, five days a week. Called every company in the phone book and got lucky. The job afforded me an opportunity to be home every night. That is, until I fractured my foot. After which, the time schedule changed and became nearly impossible. They are out of business now; but Harvey still works for the company that bought them out~Milan. I quit without a two week notice while employed temporarily with Milan; and rightly so. They won’t hire me back. It’s not on my DAC? Thank gawd! shhhhhh! I had good reason to quit! I was employed with Bestway for one day and fired the same day. After attending a week long orientation, immediately followed by a two day drill weekend, I needed time off. A soldier recently told me that ‘by law’ I am entitled to 24 hours off before drill and 24 hours off after drill. Is this true? I really need that time to download personal items, pack for drill, arrange babysitting, pay bills, yard work, home maintenance, auto (POV) maintenance and the sort. I was forced (forced dispatch) to start work when I wasn’t fully ready. I arrived before sun-up to pre-trip. Frankly, a driver really needs to drive a truck for awhile to discern safety.and maintenance issues that aren’t noticeable right away even under the best pre-tripping.. Sure I did a pre-trip; but was eager to get started. It wasn’t until later in the day that I noticed the A/C didn’t work properly. We are taking in direct sunlight all day and trucks blow that hot air from the engine, back into the cab, and on the driver. An open window was preferable. Well? . An over-sized tractor was parked on an end slot. I did rip off the front end by turning the trailer, too short. Several times throughout the day, I reached for and tried to locate a switch/button that would adjust the driver’s mirror. I didn’t think anything of it, until after the incident, I realized, too late, there weren’t any! In fact another driver and I tried to adjust the mounting bracket and mirror panel. (took up 65% of the passenger side window and in my direct ‘line of sight’…). We couldn’t budge either. The company didn’t address that in their DAC Report. Hood mounted mirrors are a godsend and, IMHO, critical. We can see a great deal more and the ‘line of sight’ is not obscured; whereas, mirror brackets take up nearly the entire window. Anyway, it was an honest driver error. When I started working for MTS, I thought I landed the perfect job. Desperate for a job, I decided to team with ‘a friend of a friend.’ I made it clear to their recruiter that he and I were newly acquainted, not ‘involved’ or boyfriend/girlfriend. She still put us in a hotel room together during orientation. When I told her that we were not ‘dating’ she laughed it off. I didn’t want to make waves, it was for a short time, so I slept with my clothes on. Their DAC remark infers that I was fired in conjunction with the dropped trailer incident. The DAC Report is grossly and unfairly misleading. Truth is I continued to work after this incident. An incident that happens at least once in a truckers career. It happened in the yard, was fixed within 30 minutes, and I (and MTS employees) continued to use that trailer, without delay. After a 1 1/2 hour drive, on a Monday, I was told I was suspended~having to drive back home another hour and 1/2. I never signed paperwork stating as much; but there it is. Later, approx 1-2 weeks, after returning from a run, I was informed by a new night time employee to turn in my badge, fuel card, and key without any explanation or opportunity to dispute. For what it is worth the Unemployment office did an investigation, two months later and awarded me compensation because MTS could not provide substantial evidence as to the reason behind firing me. Even when my transmission blew, and the next one (from a junk yard) blew, and it’s replacement (opted for lifetime warranty) blew, I still made it to work on time. That made for a 16-18 hour day. What were they thinking in regards to ‘safety’ then? I suggested that perhaps I could take some time off. Didn’t happen. The wording on the DAC is juxtaposed with ‘accident’ ‘bodily injury’ ‘unintended injury’ and worse, ‘death’ My DMVR is clean and trucking companies do want to hire me; but when an insurance representative with minimal knowledge, no time to personally investigate the derogatory legitimacy, sees ‘fired’ in conjunction with ‘dropped trailer’ with ‘death’ and the sort, well? what would you do? Now, I work for a Driver Leasing company. I haven’t had any incidents, accidents, or moving violations for nearly 18 months (DMVR is clean for three years). I recently discovered that two employees who started two months ago, are assigned pristine job assignment, while I sit, ….and sit. Rather than they temporarily filling my spot while I serve duty with the National Guard and put me back in that spot after completing drill status, they put ad after ad in the newspaper, hiring new employees while I scrape by with whatever ‘dog-bone’ they toss me, barely making above welfare status. Further, I have seen, with my own eyes the drivers who do work regularly, their ‘favs’. They violate every DOT drive, on-duty, and off-duty rule. I’m sooooooo sick of this crap. 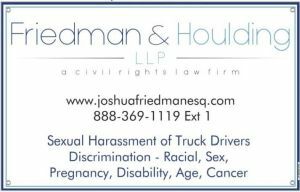 Yes, I submitted a dispute with DAC today: Case# 03843748 -23 year old DUI in Texas: Case# 03843985- MTS; Case# 03844210-Bestway; Case# 03844409-Covenant, and Case# 03844463-DAC visibility of the number of potential employers who reviewed the DAC) but, judging by what I’ve seen all over the net? I don’t think I have a flying chance in H*ll. 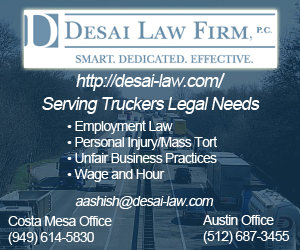 The trucking companies who initially filed the derogatory remarks makes the final decision. Unbelievable. What happened to my ‘human rights”? This is the only industry that I know of, who can violate privacy laws and ruin a truckers career. I can not afford an attorney. Why does our government allow this money making scam. 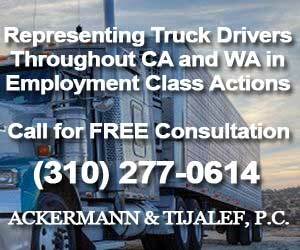 A truck driver who can afford an attorney, a high priced attorney, can afford a picture perfect DAC. But, me, a single parent and sole provider for my family can not afford an attorney. (Even though I am entitled to $167/month for twins, I don’t get it….he lives in another state, and yes, I call the Child Support office once a month). I luv truck driving. I luv getting in a tractor with the turbo resonating off its walls. I luv it, I luv it, I luv it and there is no office drama, office politics, and such. Truck Driving is freedom~freedom I’ve been fighting for since joining the Armed Forces in 1987, as an active duty soldier for 10 years and now a National Guard member. The Armed Forces allows me to drive indiscriminately (in an Engineering Unit with lots of Heavy Equipment) so what’s up with DAC and the insurance companies who, obviously, disregards the DMVR, and relies solely on DAC? You driver have the right to contest yoour so called DAC reports. They are now call Hire Right. You can go to the Hire right web site and get a copy of your report and dispute whats on it and they have to verify to it’s contents. Now These companies can make up any kind of paperwork they want to put into your file. thats when you put in a rebutable on your hire right report. A lot of compsnies to see your report and if there not a rebutable they think it probably true, But if they see a rebutaable on it then it a matter of opinion.So go to Hireright and file a rebutable. and what ever doesn’t come off the when you go apply to another company have the documentation to prove what you say and present it to them with the app so there are no surprises and they won’t think your hiding something. I WAS JUST WONDERING, CAN I TRANSFER MY CDL TO ANOTHER STATE? Yes. It is just like any other license. Once you’ve relocated just go to your local DMV office and change it over. 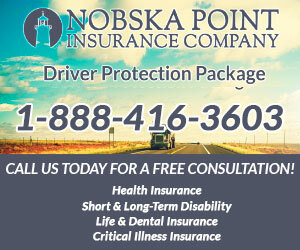 I would like to say something to new drivers or student drivers as companies call us. Beware of RECRUTERS!! After all there job is to bring in as many new bodies as possible. So here are some of the things I have learned and would like to share with you. Training: This is when they send you on the road with an experienced drive. Although some companies have trainers that only have driven for three mouths. Most of the time they will it will be 6 weeks of training 300 hours. Well this is true if you actually get a driver who gets load to get you your 300 hundred hours in. When I trained it took nine weeks because I sat in truck stops waiting for loads. They do not tell you that. But they make money because your team driving the truck moves more for them and they pay you less. Training Bonus: If you stay out the whole 300 hours we will give you a bonus. But what they don’t say is they taxes the money so there is hardly any thing left and it counts as income on your tax. Home time: Well sure they will give you home time if the load is near your home. But no company is going to pay you to dead head 300 mile just so you can get home. So you have to wait till they can find a load near your home. Paid Tuition: There are two things here if they trained you they will pay your tuition as long as you stay with them. But if you train and leave you have to pay them back and they choose you interest rate. Second in my case was they paid an installment each mouth but then taxed the money which then is income and you pay at the end of the year. Cents per mile: Well some companies will promise up to $.40 cents a mile. But here is the catch. 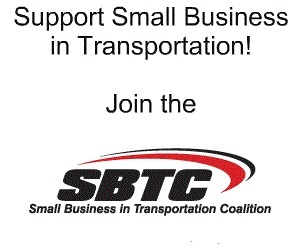 What good is $.40 a mile if you have no miles to drive or you in an area where the traffic or weather conditions like snow in the winter slows your progress down. I hope that some of you will read this and it might be helpful to you. Great site. Just wondering whatever happened to 1800drivers.com? Do you know? I just spent an hour looking for info, but could not find anything. I’d appreciate any pointers. Thanks! I don’t know what happened to it???? I want to make a few things very clear to all of you drivers . I keep reading over and over that , you are able to have entries to your DAC record removed . THIS IS NOT TRUE !!! !Yes you can dispute anything you want and you can add a rebutal BUT DAC IS NOT GOING TO REMOVE ANYTHING . I have read over and over , drivers claiming to be ” PROFESIONAL ” 1 million mile accident free drivers and drivers that say they do all the right things . You people need to start paying attention and understanding , CSA 2010 IS REAL . It does not matter what you do , pre trip until you drop dead , sooner or later you are going to get hit . If you think this is not going to happen to you , then you really need to wake up from the dream you are in . If one of your lights goes out while you are going down the road ,if you pick up a nail , if one piece of DOT tape is missing , if your truck is dirty and so one, you are going to get hit .I am not going to go into detail about what happen to me but I will tell you this . One 30min inspection cost me my career ,and the ability to provide for my family , thank god they do not live here in the States . I am being evicted in a few days , they are coming to get my car , I have no money left for food. I have no family here in the states to help me and these are the times when you find out who your true friends are . I have none.There is not one company that will even talk to me . Why ?? because the company I was drivIng for lied on a federal inspection and was written up . LADYS AND GENTLEMAN GET THIS THROUGH YOUR HEADS , ANY AND ALL VIOLATIONS WRITTEN DURING A DOT INSPECTION ARE GOING TO BE CHARGED TO YOU .As for me , well , there is no work around here , if there is , it will not make me enough money to take care of anything I need to take care of , if I am lucky it will pay enough to maybe eat . But I dont think I have to tell you , jobs are far and few between . As it looks now , I will never be able to see my wife and daughter ever again . Good Luck to all of you . I quit driving (professionally) little over 3 years ago. I just got “Tired” of ALL THE BULL!! I see, after reading some of the articles here that drivers and trucking hasn’t changed. When will the drivers of this country wake up? You all must stick together. You must organize! Jimmy Hoffa days are over but it IS time again! I was thinking about going to truck driving school and driving OTR. but after reading your website and all of the posting about DAC, how company dont give you miles, CSA, dont have home time, the pay aint what they say it is( little to no pay, in some of this case), the company lies, pushing long-term drivers out for new drivers, the police harassement etc. and then i hear some drives who are out of the business due to some of the above mentions. then some are trying to get back in. WHY? and with all this stuff going on in this industry why would someone want to do this(drive)anyways. ARE THERE ANYTHING POSITIVE IN THIS BUSINESS AT ALL? some please response. Great site, it is very good to know about these thing in advance of going into this business but it would be ever BETTER TO KNOW TO DEAL WITH MOST OF THIS STUFF, Besides just QUITTING after getting feed up. any advice? I am so glad I found your site. I really found you by mistake, while I was browsing on Bing for something else. Anyways I am here now and would just like to say thank you for a useful post and an all round enjoyable blog. (I also enjoy the theme/design), I don’t have time to read through it all at the minute, but I have added your website to my favorites, so when I have time I will be back to read more. Please do keep up the awesome job! I am so glad I found your site. I really found you by mistake, while I was browsing on Google for something else. Anyways I am here now and would just like to say thank you for a great post and an all round enjoyable blog. (I also like the theme/design), I don’t have time to read through it all at the moment, but I have added your website to my favorites, so when I have time I will be back to read more. Please do keep up the awesome job! I am a roll-off driver and I started to work for a truck companies that does not care about safe at all. They gave me a truck that has one of head light out, turn signal lights both are falling off and I have to tie them up with a bungee, breaks are not safe and they need to be adjusted every day. I really need to keep a good distance and start to down shifting to help me to break on time to prevent to hit cars up front me. The main piston is leaking oil every time I pick up a dumpster and make a lot mess sometime. I keep reporting these problems everyday to my dispatcher, he always says tomorrow we get this fixed, but never get done, I already asked to driver a different truck and he says does not have. I need the job, but I really feel in danger and uncomfortable driving it. I started on Monday and I just get my head light fixed on Friday. I am thinking to stop next of a DOT’s officer and tell him/her about these problems and show him/her that I do my inspections everyday and they do not get the truck fixed. If I turn myself in to a DOT’ office, will I get in trouble too? Please I need your opinion what I should do. Personally, I wouldn’t work for a company that has such disregards for safety and compliance. I suggest you look for another job. I also suggest you contact Richard Wilson of TCRGconsulting. He’s a drivers advocate and safety and compliance specialist also. 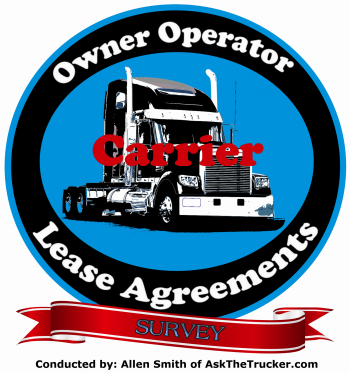 Shortly after the owner hired me to driver one of his trucks, the owner started asking me out, I kept telling him no thank you; I do not date co-workers, supervisors or the owner of the company. He got so mad that he cut my hours, from 50-60 a week to 30 hours a week then it got down to one or two days a month. This lasted form April 2009 to April 2010. I tried to find work but I couldn’t find anything. I am still out of work to this day March 5th 2014. I didn’t become a truck driver to be treated like a whore!!!! I don’t understand why I’m being punished for doing the right thing. I know I did the right thing and I would do it again. I read the article about Logisticscom.com and their new transparency policy, however when I tried to look them up on safer as a broker I couldn’t find them. Do you know their MC number or if they are operating under a different name? 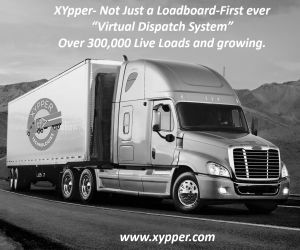 Logistics.com is a premier agency of Quaker Transportation and is anticipating their own Broker Authority soon. Driver was late 15 min for delivery,he states he was there but was another 8 trk s in front of him,by the time he was there they say he was late 15 min,,anyway they want to reschedule delivery after a week keeping the truck loaded and not paying extra detention time,..How or to whom we fill a complaint ..There are 3 more other truck sitting like this Company is AWG -KS,never go there again ..
How can I get more information about phone apps for truckers? I know of Trelp, which was re-launched today (7/24/2017) and Trucker Path. What are other apps out there? 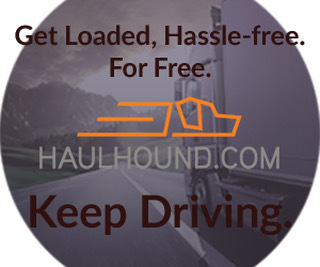 HaulHound- Find and Fill Empty Trucks! FMCSA controversy and the flip flop dilemma on ELD trucker protest heading to D.C. Copyright © 2010 Ask The Trucker. All rights reserved.